The legal system can intimidate and overwhelm anyone – we're here to help find the answers and create the solutions you need. No matter the circumstances, we'll treat you with respect. We pride ourselves on effective communication and representation. We use cutting edge technology that allows us to respond quickly and give you the most up-to-date information on your case. With accurate representation from a qualified attorney, you can face any legal issue head on, without undue stress. Don't let yourself get buried in details - contact us today. I wish I could give Mrs. Tina 10 stars! She was very kind and patient with me and my emotional roller coaster! 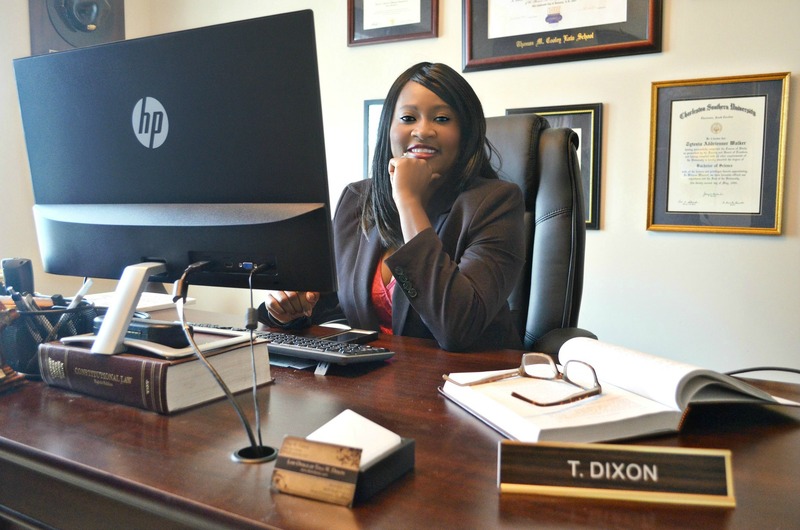 I first hired her for an auto accident that she settled successfully. A few months later I found myself needing a divorce attorney. I was in the battle of my life. Honestly, I first thought she may be a little too nice. Don’t get me wrong she is really nice, but she is a complete different person in the courtroom, not nasty but passionately aggressive. I know I’m getting a little long winded. Please know that I’m not just saying this because we won our case. I appreciate you listening to me (yelling) and putting me in my place when need be. My children and I can’t thank you enough. Ms. Dixon literally changed my life and we’ve never even met. She handled my case out of state and helped me with the first steps toward my new home! 3 months later, I became a homeowner because she went the extra mile... I definitely recommend her to anyone i know! Always makes herself available. Very knowledge and if she is unsure she finds out. Definitely gives good advise and is a good source of information on what to expect when you’re dealing with legal issues. Tina is definitely the attorney to call!! Very knowledgeable and extremely pleasant!! © 2018, Law Office of Tina W. Dixon. All Rights Reserved.